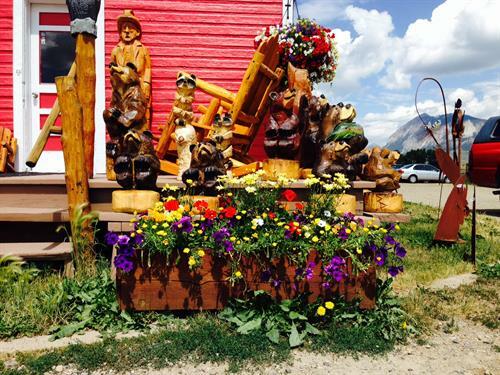 Red Mountain Logworks, manufacturing fine interior log furniture in the Gunnison Valley since 1995! We also manufacture and ship our Mountain Time Chairs from our HISTORIC location in the Glacier Schoolhouse located on hwy 135 between Crested Butte and CB South. 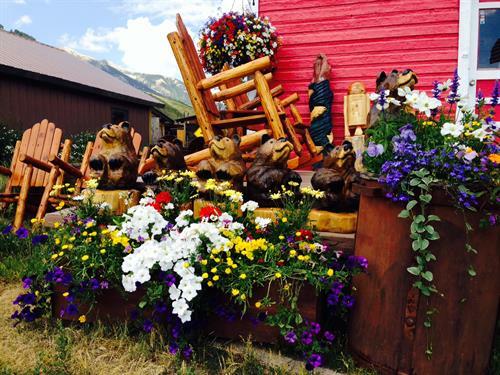 You will see our ''Crested Butte Chairs'' at CBMR, along Elk Avenue, in front of McGill's, at Camp 4 Coffee and on the decks of the nicest people in the valley. Don't go home without one, we can economically ship them anywhere in the continential United States. At Red Mountian Furniture our customers make our business, they return year after year to say hello, add a piece or bring a friend they have found that Howard , Gary and Nancy really care about thier business and our customers become our friends. STOP driving by! Inside the Historic Glacier Schoolhouse, built in 1920 and used until the 60's you will see the original chalkboard as well as Beds, Dressers, Tables, Desks, and a unique collection of rustic gifts, interior accents, lampshades, picture frames, decorative switch plates, mirrors, cutting boards, salt and pepper shakers and much, much more. Our workshop is onsite and we love to show you where we produce our Mountain Time Chairs, our railings and our custom orders. Look for the ''log tee-pees'' those are our raw inventory just waiting for you to decide what they should become. Because if it's log, and it's furniture we have it, we find it or we build it! Become our next customer and you'll find out how much we care about what you need and want! Red Mountain Furniture. (970) 349-7340.